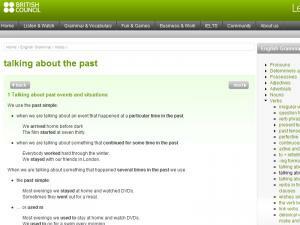 Comprehensive resource to learn and practice the past tenses: simple past, past perfect, past progressive and past participles. 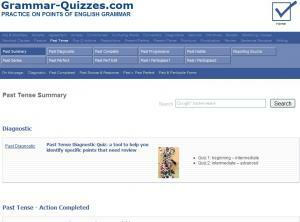 Includes detailed examples and quizzes. There are several ways to talk about the past and this list of reasons and examples goes through them all: past events, the past in the past, the present in the past and the future in the past. There's also a self-correcting quiz for you to practice! 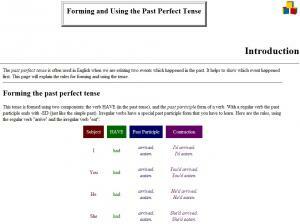 Explanation of how to form and use the past perfect tense. Good explanation. Learn how to form the past perfect and past perfect progressive as you watch this video. Practice as you listen to the conversation! 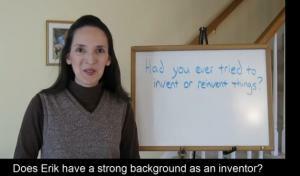 Learn how to form the past perfect and Past Perfect Progressive as you watch the video. Make sure you watch Part 2 of this lesson! This is a Past perfect grammar tutorial video. The lesson goes through how to form a past perfect and when to use a past perfect. 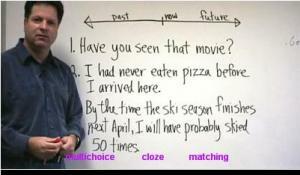 Both regular and irregular verbs are explained and presented. 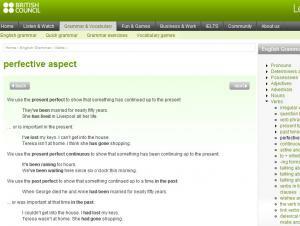 In this video you will learn how to construct the past perfect, present perfect and future perfect. This is a great resource for students who love grammar. If you want to know "why" as well as "how" to make the perfect tenses, this video lesson is for you. There are two exercises for practice, as well. 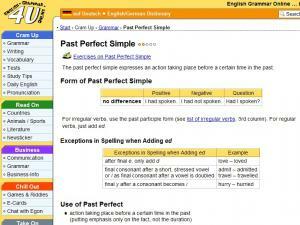 This lesson will help you to decide if you should use simple past or past perfect. It has many exercises and spelling exceptions. Learn how to use the present perfect, past perfect and and present perfect continuous to express EXACTLY what you want to say in English. This is an good lesson to practice the past perfect simple. Get lots of practice with five lessons, an interesting reading from a classic novel and a quiz. 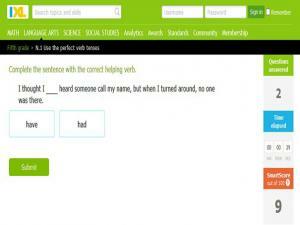 Complete the sentence with the correct helping verb or verbs. 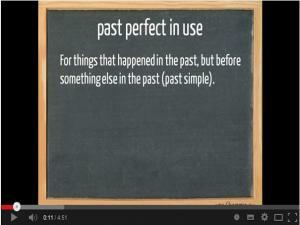 Very basic summary of the past perfect tense. 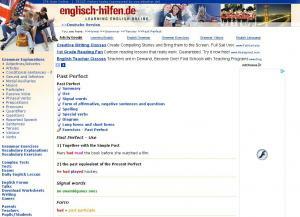 Includes uses, a list of signal words, affirmative/negative forms and a link to a practice exercise. 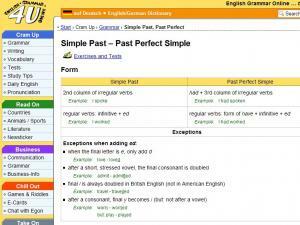 Compares the past perfect and simple past directly.